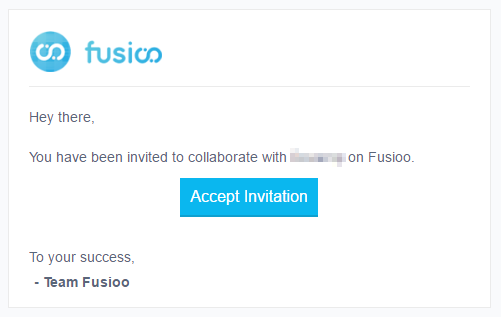 Fusioo can help you get work done, together with your colleagues and clients, in one place. 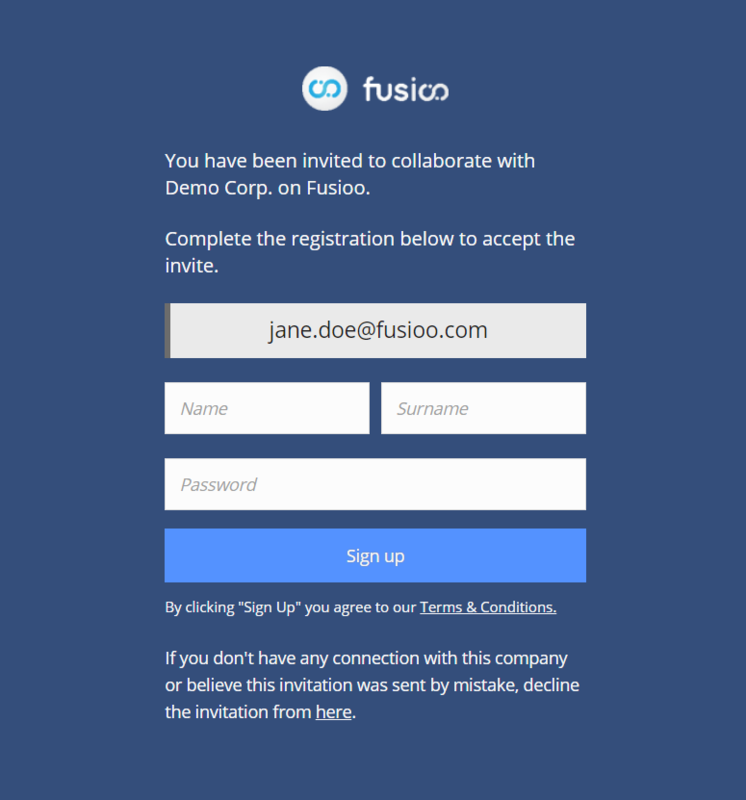 Once you’ve set up your workspace, you can start inviting your colleagues, clients and any external collaborators to Fusioo. 2. 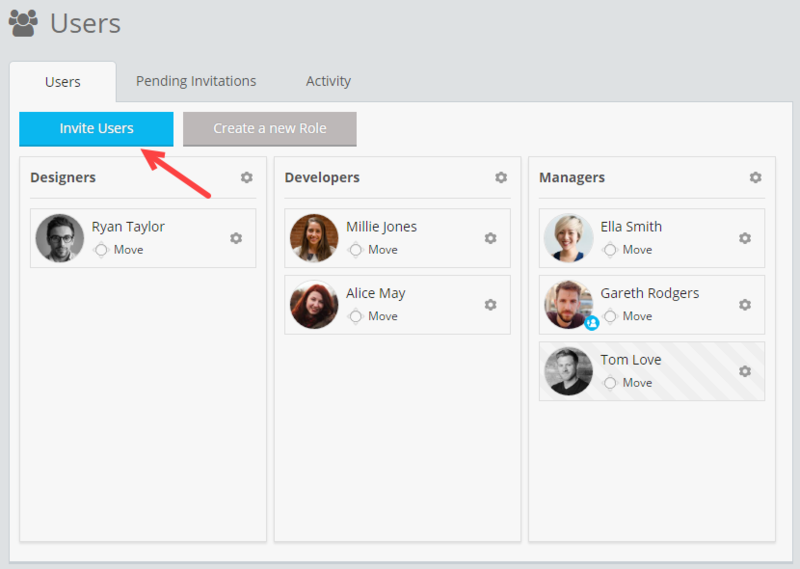 Add the emails of your colleagues, clients or external collaborators and click Invite. Note: The Role you choose for your invited Users will determine their data access settings. You can always change their Role once they’ve joined your team on Fusioo. To join your team, the users have to click on Accept invitation. They will be prompted to set up their Fusioo account. Once this process is complete, they will be able to access your workspace. In the Users page you can also view and cancel pending invitations. You can access the email address, user type and Role for every sent invitation. If you made a mistake while sending the invitation, you can delete any pending invitations. You will be asked to write a short message when deleting a pending invitation. This message will be shown to the user once they try to join your team. Note: If for some reason the invitation email is not delivered, check your email spam folder. 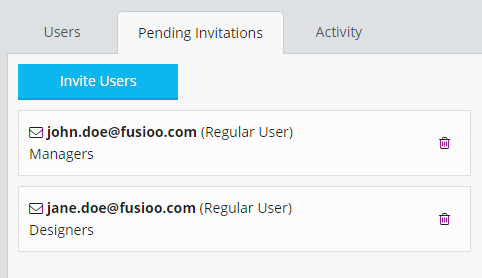 To make sure you receive further emails from Fusioo, please add info@fusioo.com to your contacts.